Mobile devices have become the most valuable source than desktop computers to manipulate any information and to do shopping. 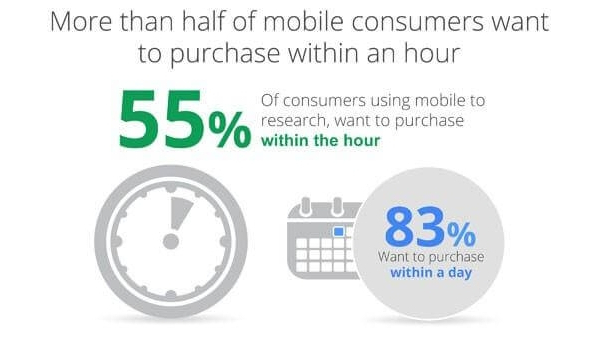 A huge amount of people managing their shopping research via mobile devices, usually make purchases within an hour or mostly the same day. Not a fad, but a mobile-friendly website has turned out to be a necessity since it has a great impact on search engine ranking. Recognize the top tips listed below to try for your responsive WordPress website development project; whether you want to create a brand new website or just want to update your existing WordPress powered site that has not yet been optimized for mobile devices. Choosing an appropriate mobile theme suitable to your WordPress websitewill serve the users a consistent experience with whatsoever device screens and resolutions. Fortunately, there are arrays of WordPress mobile themes online. Just single out one suitable theme and in quite a few span of time have your mobile-friendly site running. Be careful! Choose a theme that can fulfill the user expectations by fixing up with readable content, regardless of the screen size. Is your theme truly mobile-friendly? If not, no matter how great it may look and function, it would fail to attract targeted traffic. This is a usual hitch. It is vitally important to make sure that your chosen theme doesn’t lack any feature a mobile-friendly site should have. Well, fortunately, there is Google mobile-friendly test tool available that can help you evaluate the level of mobile-friendliness of your website. This tool can also make you aware of the issues why your website is not a mobile-friendly site. Tips 3 – Select the Right WordPress Plugins. WordPress Plugins can turn your site mobile-friendly in quite a short span of time, just by uploading a simple mobile theme for the mobile users automatically. Withal, installation and activation of right Plugins is another viable alternative that can help you get a mobile-optimized website. Since there are loads of Plugins available, it is vital to choose one that can make your WordPress site work great on all major mobile devices and platforms. Moreover, you might not be the right person to create your own WordPress site bearing the lack of time, skills or technical knowledge required to spend on several aspects of responsive WordPress Website. In this situation, it is advisable to hire professional experts. Tips 4 – Craft a Responsive Design. Designing a responsive website layout is the ideal and one of the best ways to make your site mobile-optimized. The task of changing a WordPress website layout to a responsive one has become quite easy. The only thing you need to do is just choose a best-suited theme, and craft tweaks and changes wherever required with the help of appropriate WordPress drag-and-drop page builder; to name some – Page Builder, Aqua Page Builder or Visual Composer. As said before, a DIY strategy might not work well owing to the lack of time, skills or technical knowledge required to fulfill the task. In the nutshell, if the task of crafting your website design to a responsive layout is ill at ease, it would be recommendable to opt for skilled professional assistance. Around the globe, there are a lot of companies you can hire. Keep an eye nearby! You can find the right WordPress Website Development Company, might be in your neighborhood, eager to provide services that can fulfill your project requirements. Tips 5 – Prepare Right Contents for your Mobile-Optimized Website. Another thing you should not overlook is the content on your optimized mobile-friendly website. People screening content on their mobile devices; usually roll out the red carpet to the most important piece of data, skipping over major parts of the content. On the other site, people screening data from a computer, willingly acquire more information from a usual desktop website. The way of navigating through a website content differs depending on the device being used to access the site; whether a Smartphone, Tablet or a Desktop computer. Therefore, make sure that all irrelevant contents are hidden in your mobile-optimized website and only relevant content is accessible. Like, you can hide the navigation menu from mobile users, and create a menu icon or symbol to make them view when it is clicked. Most importantly you can use large icon buttons to help users tap easily whether the access your site on a big screen device or a small screen. To the conclusion, getting WordPress Development Services for a mobile-friendly website is not a daunting task. Following the right tips, you can indeed make the task simpler and easy.